When It’s “World’s Largest,” I Gotta Go! 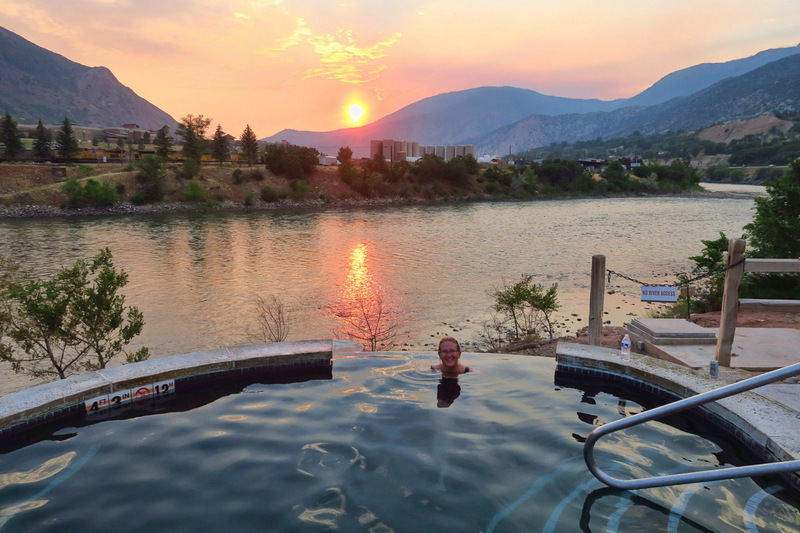 In searching back for my earliest memory of falling in love with the whole hot springs experience, it was not all that long ago. In 2007, my brother Don invited me to join him in San Miguel de Allende, a place which we both quickly became enchanted. One of the local attractions there, La Gruta Hot Springs gets its name from a long tunnel leading to the hidden “grotto” ergo the Spanish name for grotto, “La Gruta.” There, one can stand beneath a plume of hot water gushing from a pipe in the dome ceiling at a pressure of a dozen massaging hands on the neck and shoulders. It has become a longstanding tradition over the past decade of visits to San Miguel. If you can catch it on a rare slow day these days, it’s just magical. One year later during my two week vacation, I joined Don for a portion of his driving trip through Guatemala. One of the highlights of the trip was a day trip to Fuentes Georginas, (pronounced “Hero-HE-nas”) a natural hot spring left over from the Zunil volcano. Up into the hills so steep that clouds roll through the valleys below, we found an unlikely tropical paradise with hot pools of steaming water at over 8,000 ft elevation. Back in 2008, Fuentes Georginas was a little known destination, so we practically had the place to ourselves. Beautiful Fuentes Georginas in the mountains above Guatemala’s Quetzaltenango. In 2011, again at the recommendation of Don, I visited the remote, magical island of Dominica (Dom-e-KNEE-ca, not to be confused with Dominican Republic) where there are a reported 365 waterfalls, one for each day of the year. There, hot waterfalls blend with cool waterfalls to make the perfect temperature soaking pools along the river. I spent an unforgettable day there soaking in the warm pools beneath a soft, steady rain shower. 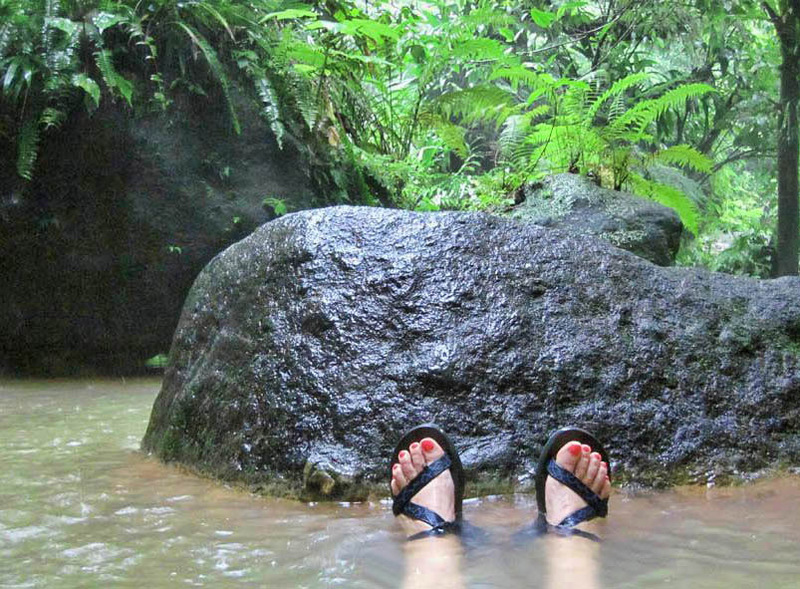 Laying in a pool at the confluence of the hot waterfall and cold waterfall on the island of Dominica. In the past decade, I have longed to repeat those experiences, or at least a close representation. 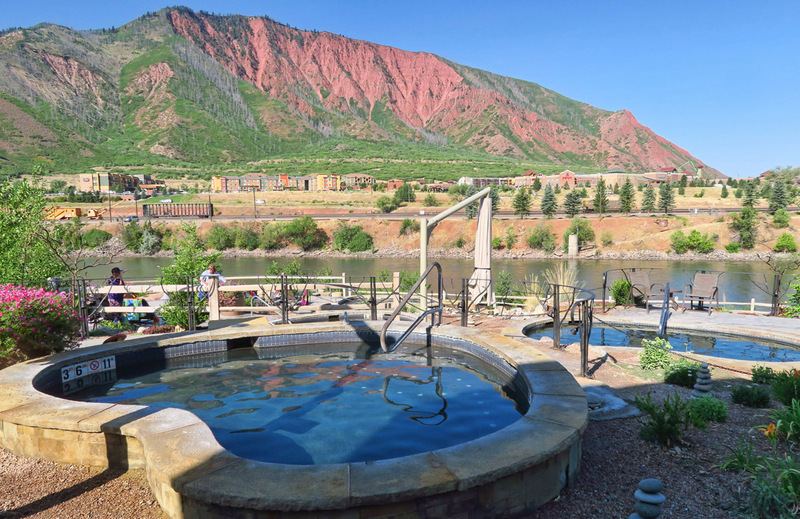 Colorado offers a variety of hot springs opportunities, so I set my sights to visit as many as possible this summer. 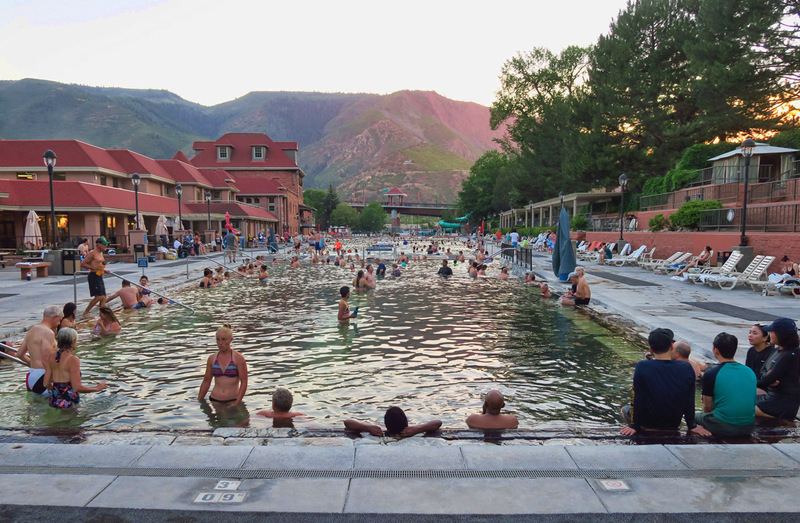 But in addition to pools natural and man made, big and small, the state also holds claim to “The World’s Largest Hot Springs Pool” in Glenwood Springs. But it was a bit too far west from my planned route. So do you think I would drive 140 miles out of my way, 5,000 ft down the mountain into 90 degree weather just to visit a hot springs? Of course I would. 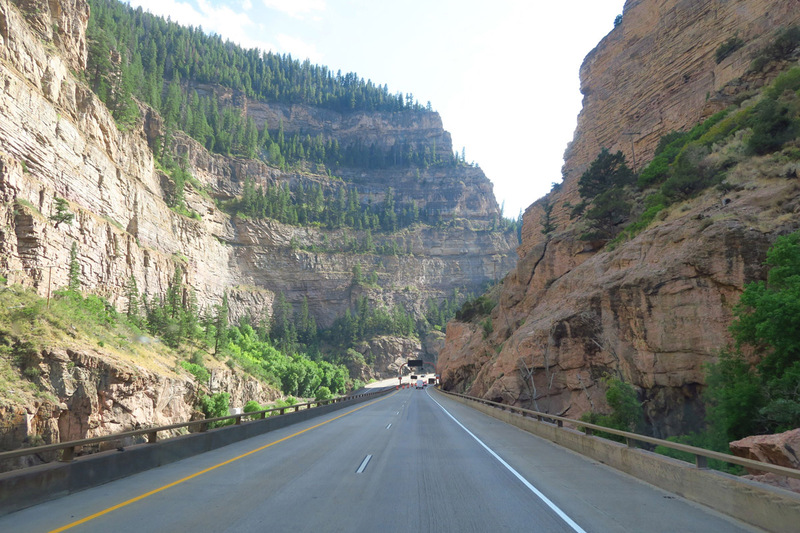 I had no idea that I-70 was going to turn into this beautiful canyon outside of Glenwood Springs! 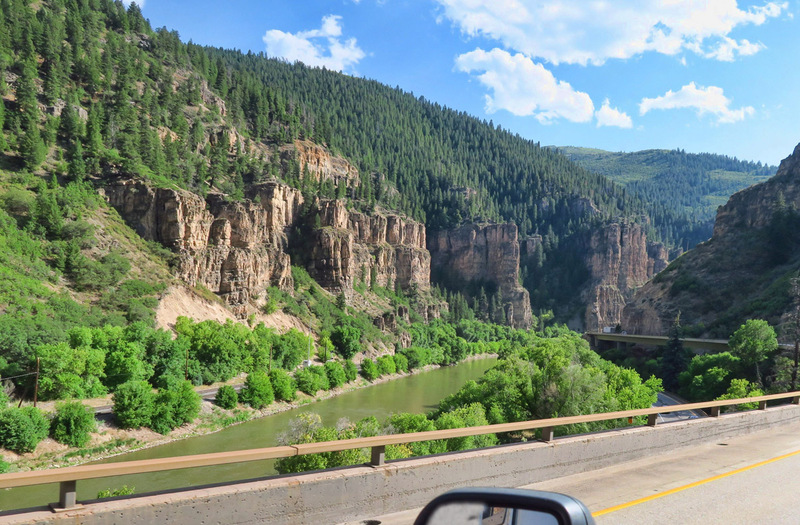 For 13 miles, the highway follows the Colorado River through Glenwood Canyon with walls up to 1,300 ft high. Such a gorgeous drive, especially since I didn’t know it was coming! 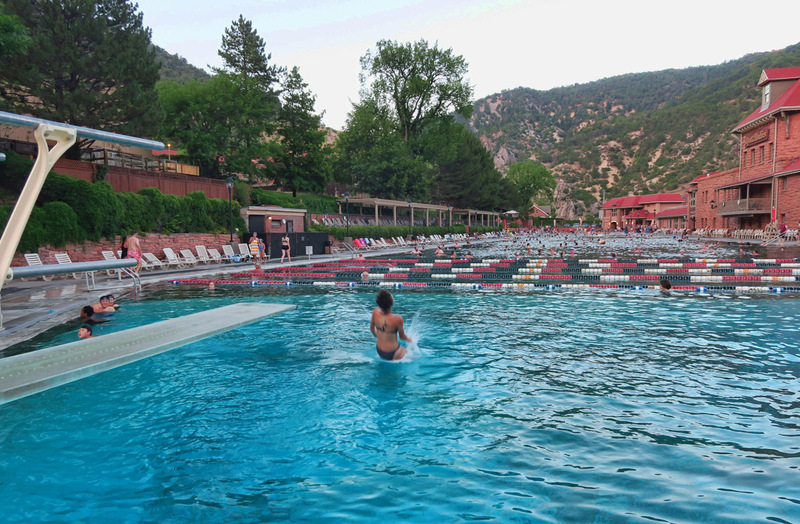 Although the large, square pools of Glenwood Hot Springs are not typically “my kind of hot springs,” I still want to visit. I much prefer smaller, less crowded, less structured, more natural rustic setting. 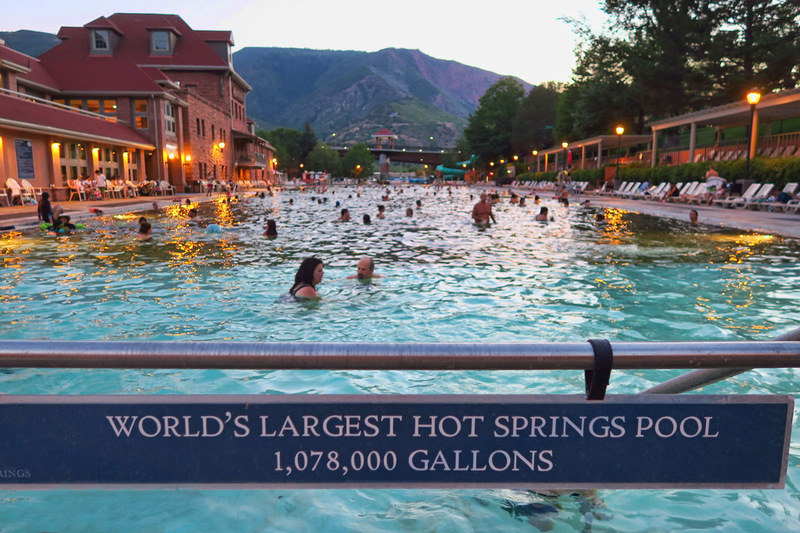 But when it’s “World’s Largest,” I need to at least have a dip. 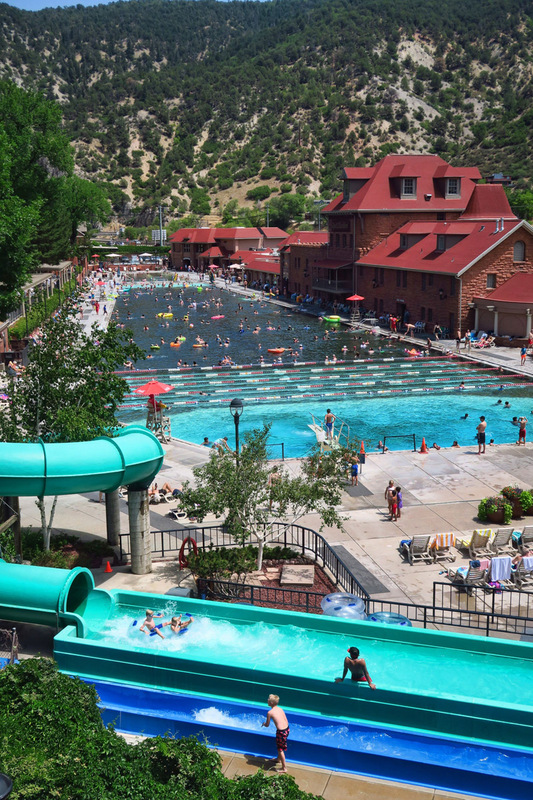 The entire Glenwood Springs Resort and Spa is massive. It’s not as bad as it looks in photos, though. Being so large, over 400’ x 100‘, the giant million plus gallon pool is sectioned off according to interest. At the far end is the smaller, hottest “therapy” pool at around 104° for soaking. Next comes the largest middle section, which has the most moderate of temps at around 90°. This is where you find most families, but the pool is so huge that it’s easy to keep one’s distance. Then comes the lap pool, followed by the deep end for diving. By the time you spread the crowds over the 400 ft length of this pool, it doesn’t seem so bad. It’s 400 ft from end of the pool to the other. The center section at 90° is the largest, so it seems less crowded. At the opposite end is the lap pool and deep diving pool. Thank goodness the slide complex with all the screamers is at the opposite end of the “therapy” pool, or I might need therapy of a different sort! 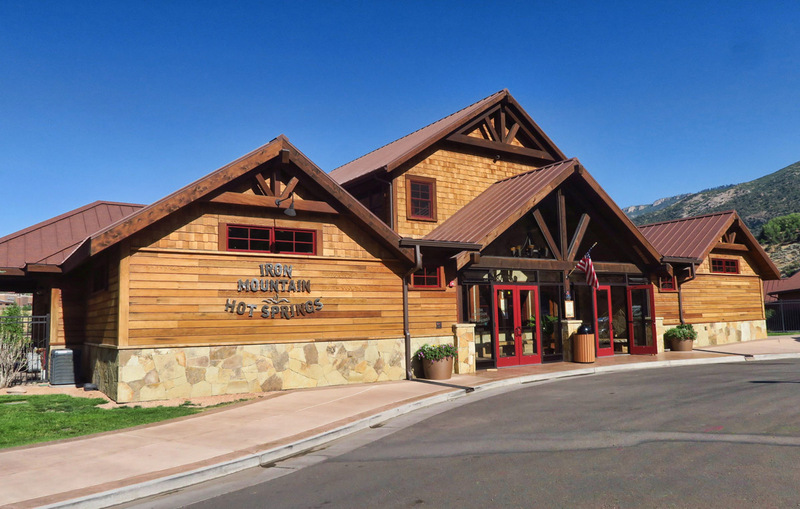 Iron Mountain Hot Springs is a beautiful facility. 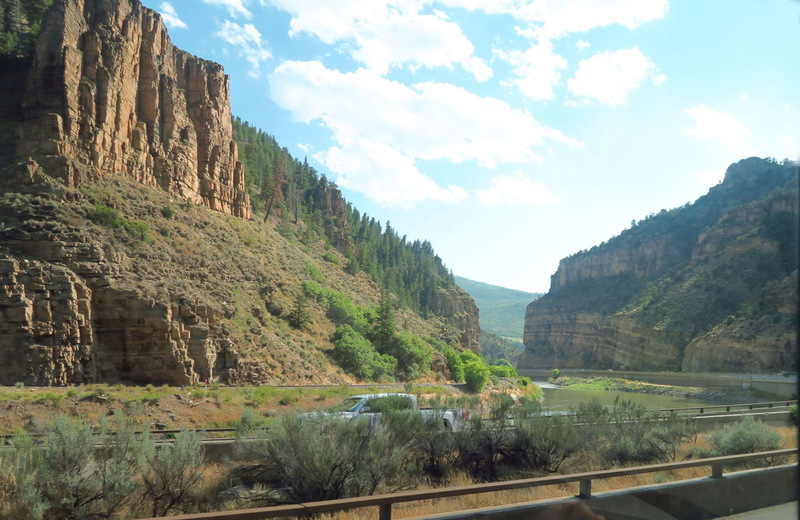 Situated along the banks of the Colorado River, the views are lovely. This large “family-friendly” pool keeps the toddlers out of the quiet zone. 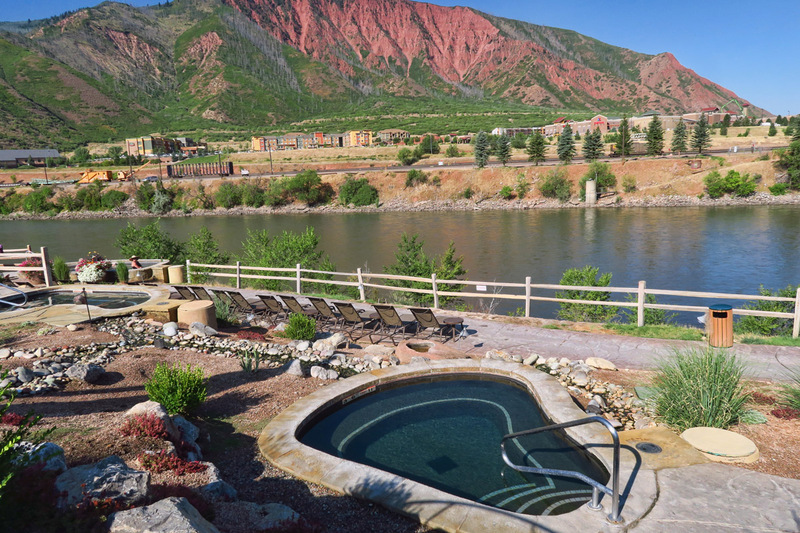 All 16 of the smaller pools overlook the river, where occasional paddlers can be seen floating the Colorado River. Umbrellas over many of the pools offer much appreciated shade from the strong suns rays. Even though I was there when the springs first opened, the sun was already baking. 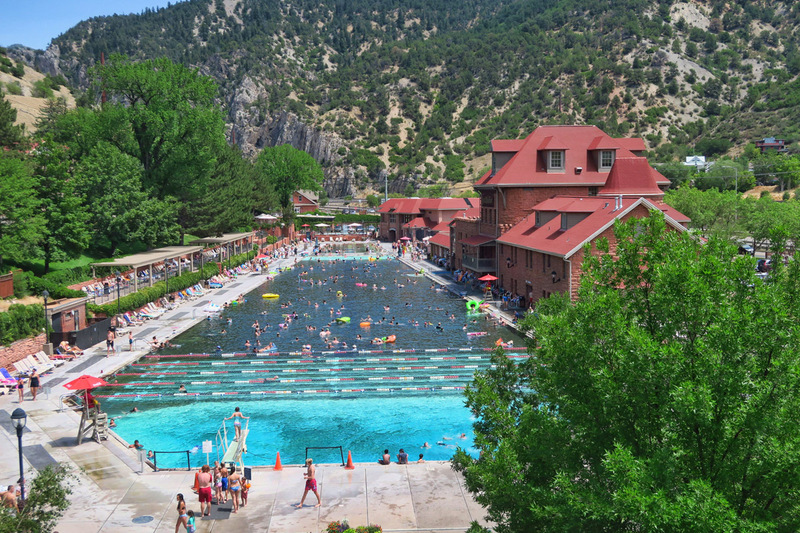 They have a separate large chlorinated fresh water pool for the families, which leaves the other 16 mineral pools of varying temps blissfully designated as “The Quiet Zone” with zen-like music playing. And the best part, children under 5 are not allowed in the Quiet Zone! And children over 5 must be accompanied at all times by an adult. Any wonder why I loved this place? 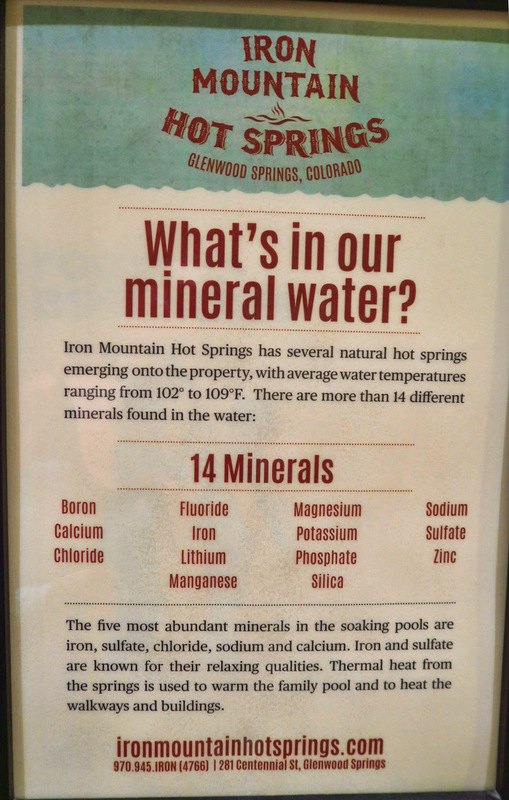 Although both of the springs complexes have that subtle sulfur smell due to the sulfate, one of the 14 minerals found in the source springs, I have grown not to mind. I would rather smell sulfur than chlorine. If I am advised to “Remove all jewelry before entering pools, as minerals will tarnish,” I feel more like I’m in a true mineral hot springs. A list of minerals is not only posted, I can smell them! 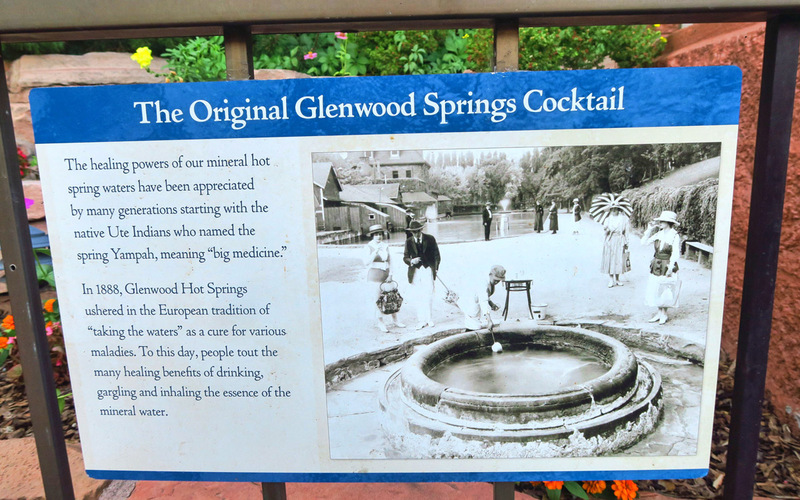 This is the original drinking spring at Glenwood where water was once bottled. Although water comes out at 122°, some still drink the water. The tradition of “taking of the waters” here goes back to 1888. 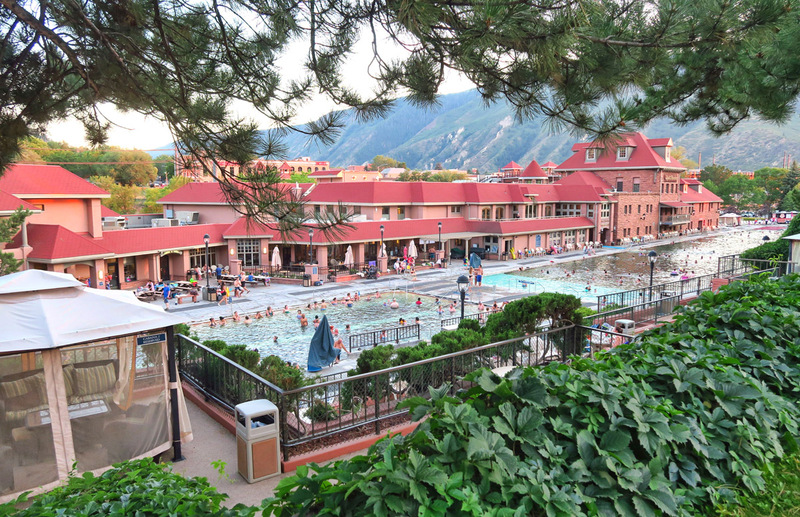 I didn’t know much about the town of Glenwood Springs before I came here for a soak. The town was packed, even though the temperatures were over 90, and a smoky haze hung over the valley like a shroud. I asked the woman at the Visitor Center if crowds and the high temps were typically at this time of year. Why are there so many people here, when it’s a cool 70 degrees just up the mountain? She told me it’s the start of high desert where Colorado is concerned where lower elevation means higher temps, and even though it’s hot, it’s also “Vacation Central.” There are certainly lots of outdoor activities in the area, from the hike to Hanging Lake to the beautiful Glenwood Canyon Bike Trail. There’s also the Rio Grande Trail which follows the Roaring Fork River all the way from Aspen. 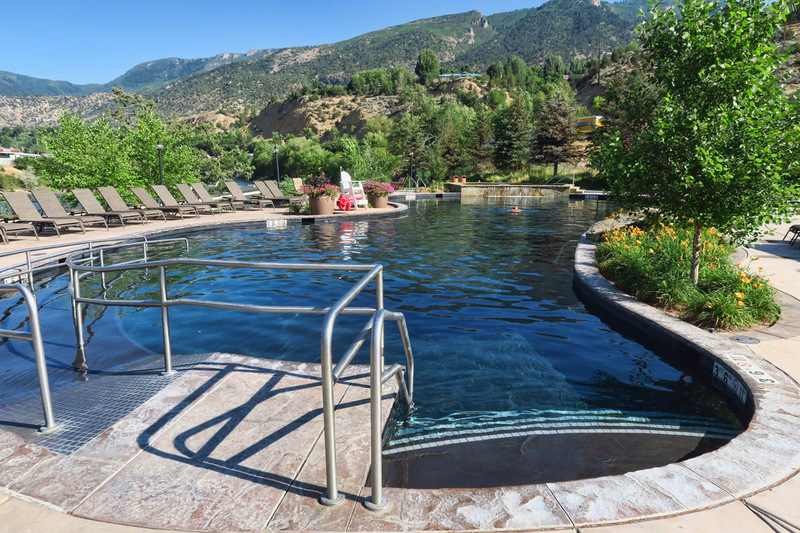 This entry was posted in Colorado and tagged Glenwood Hot Springs, Glenwood Springs, Iron Mountain Hot Springs by Suzanne. Bookmark the permalink. Okay, That drive down the canyon IS spectacular. We did that in 2013 when our kids were in Aspen working the summer music festival. 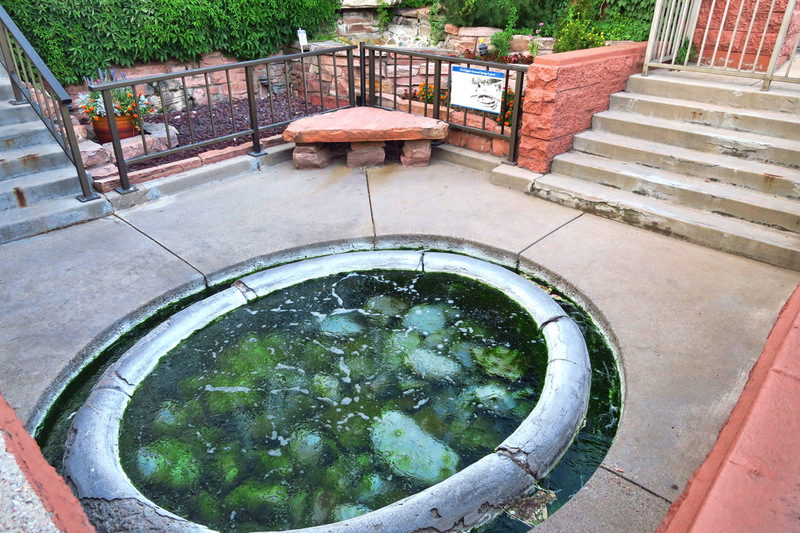 I did not know about the springs but now, thanks to you, I do and they are on our list! but for cooler weather. That is quite the optical illusion in those last two shots. Or did you just slide out of the pool and into the river? Your header made me LOL! Have been enjoying your travels…. Iron Mountain and La Gruta are now on my bucket list…. 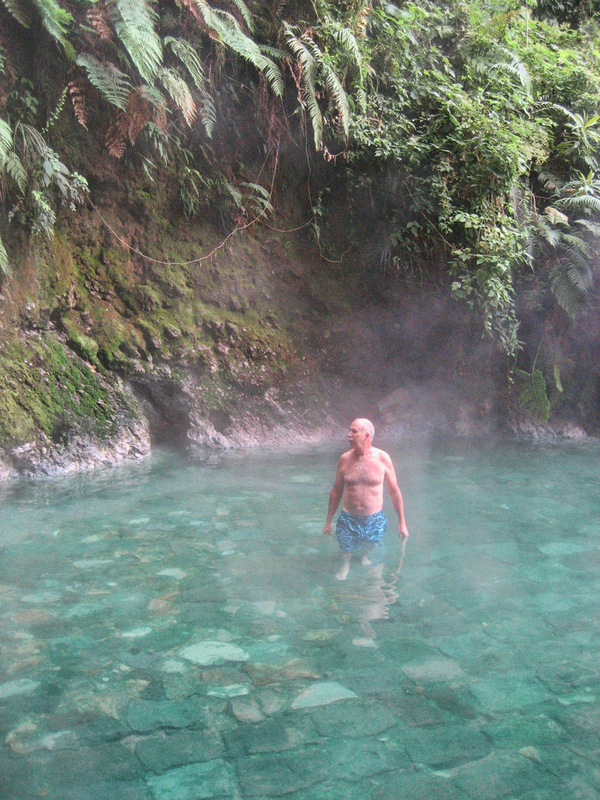 We have been to a handful of hot springs in our travels but the crowds of people keep us from going to many of the popular ones. Three Rivers outside of Salt Lake City is a nice hike and relatively quiet. That is if you don’t mind seeing a naked person or two. Of course we had to stop by Liard Hot Springs in the British Columbia is a must if you are in that area! 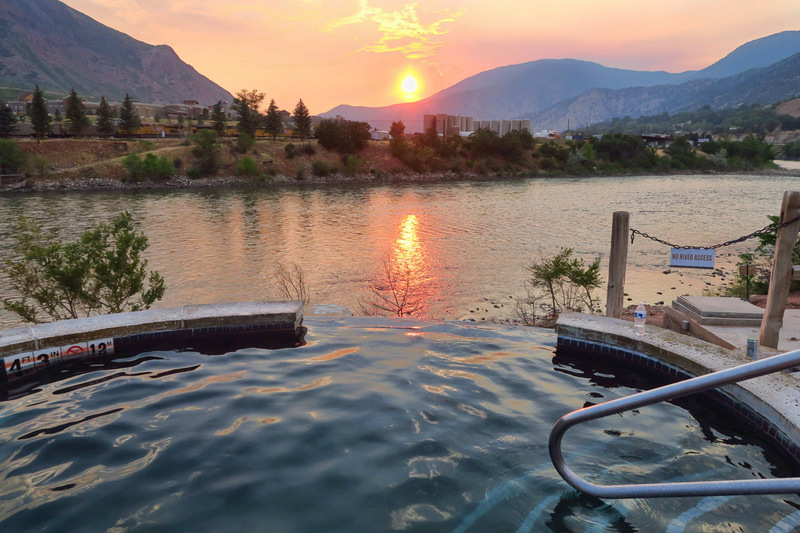 Iron Mountain Hot Springs certainly has a beautiful location. Dominica was one of our stops on our only cruise. (and probably last). Some of our friends went on an all day hike which included the hot springs. Wish we had gone. If we ever return to the islands, we would just fly in to Dominica. There is so much to do there for outside adventures. 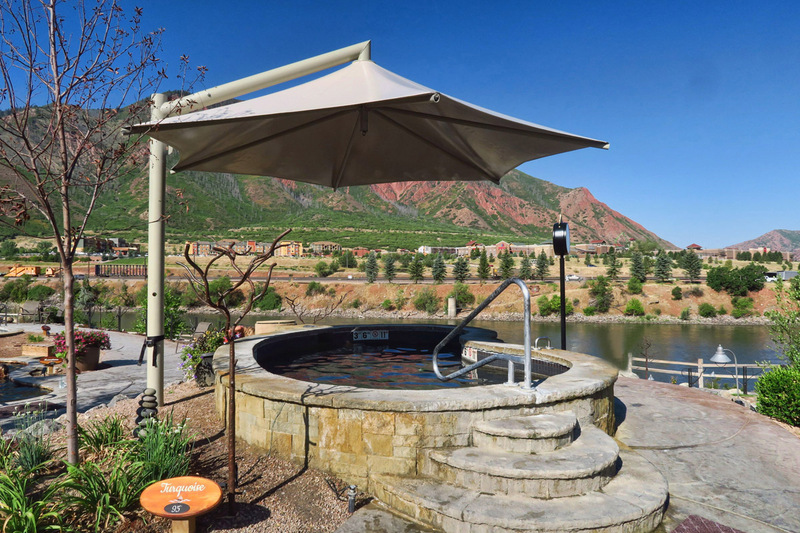 Looks like a fun time in Colorado exploring the hot springs! 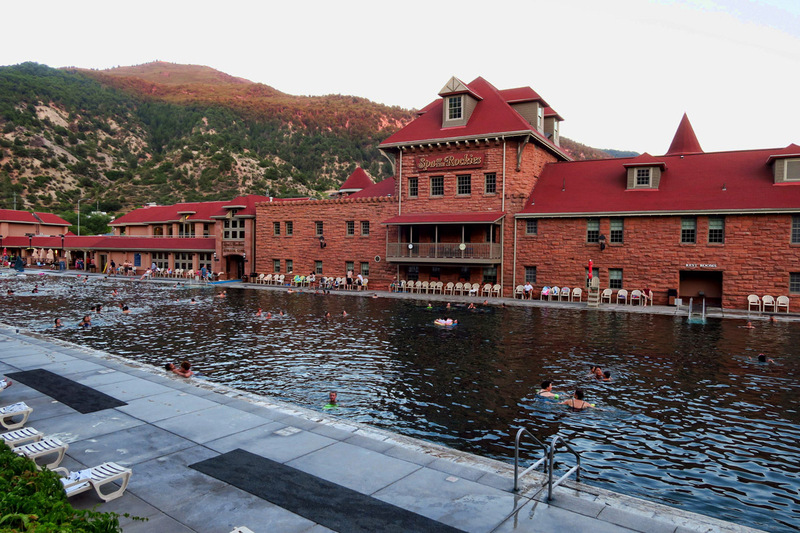 We may have to give some of the Colorado hot springs consideration as we make our way back to the Midwest this fall. 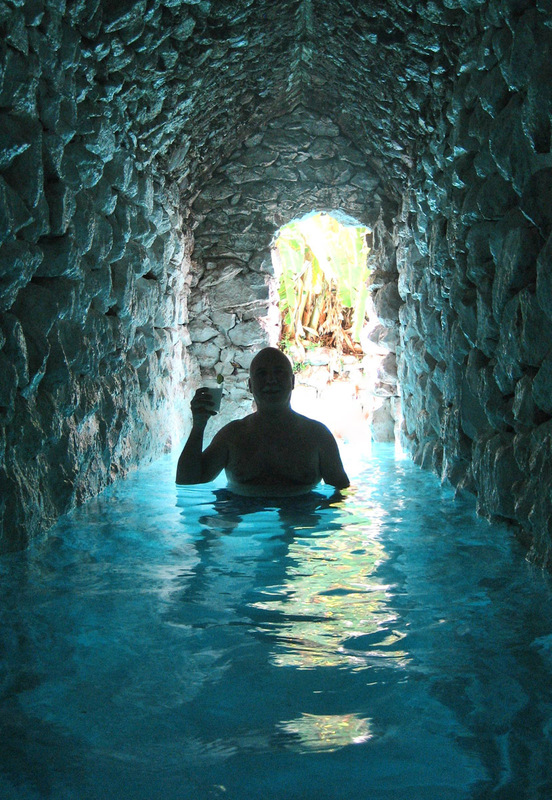 Wish I would have known about the hot springs in San Miguel when we visited. Love those last two shots.